great way to enjoy the taste of summer even when there is a chill in the air. 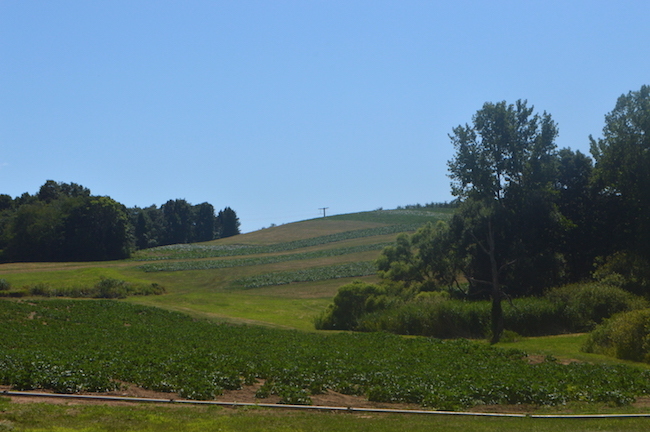 I visited a local orchard and had a great time picking fruit to be used in different recipes. 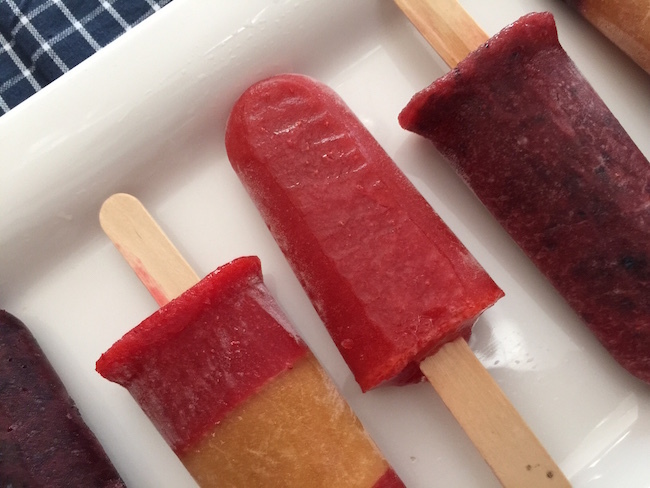 I have already made my Peach Crumble and today’s recipe is summer fruit popsicles. 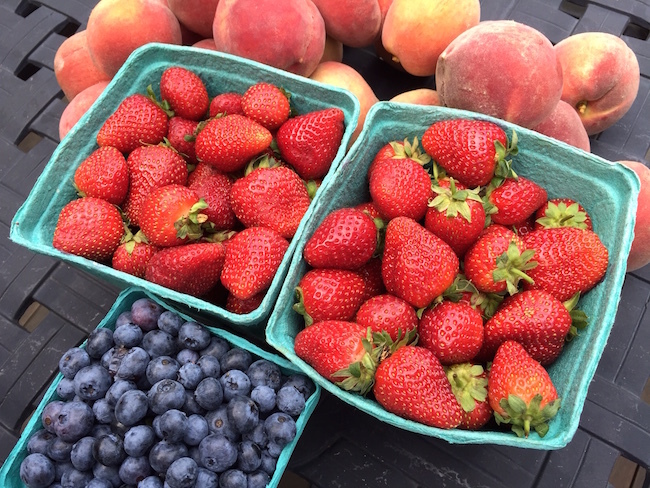 All you’ll need is a blender or food processor, fresh fruit and some orange juice. and 1/4 cup orange juice and set aside. Blend peaches and 1/4 cup of orange juice and set aside. 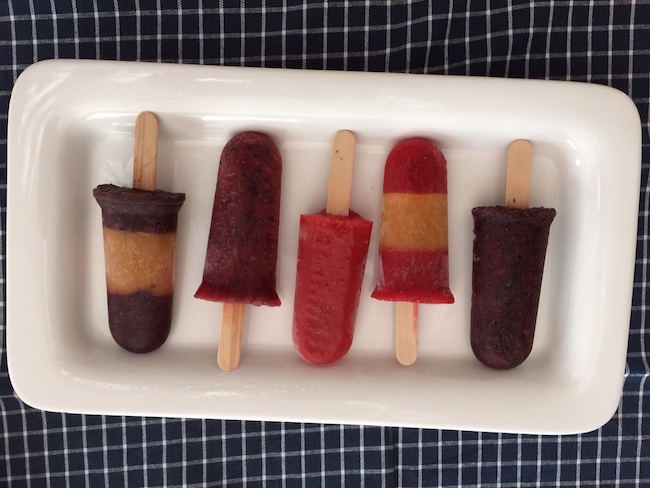 single fruit pops or make a design. freezer, run under hot water to loosen and enjoy! Place mold in freezer for at least 4 hours. Pour another fruit to fill another third of the mold and place popsicle stick in the center. rest of the mold. Place back into the freezer for another 4 hours. Remove and run mold under hot water to loosen. This sweet treat is fat free and a great way to enjoy all the tasty fruits of the summer season. In food processor blend strawberries and ¼ cup orange juice and set aside. 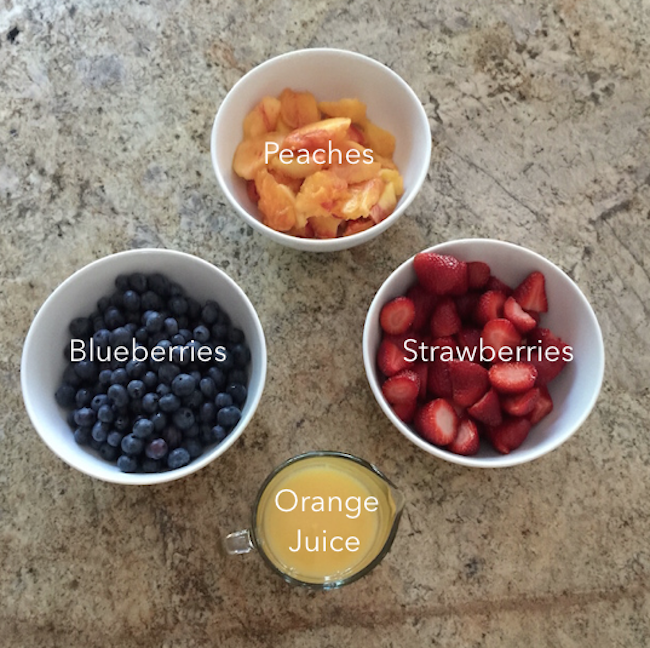 Blend blueberries and ¼ cup orange juice and set aside. Blend peaches and ¼ cup of orange juice and set aside. 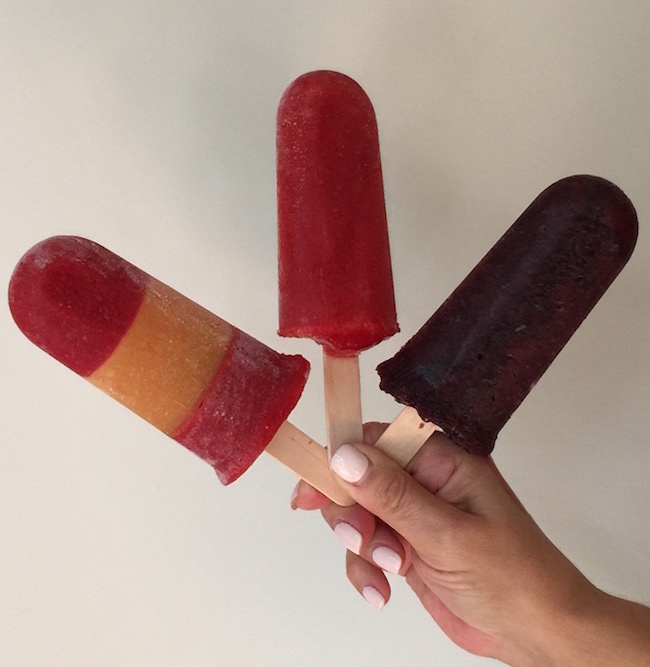 For your one flavor fruit pops pour single fruit mixture in a popsicle mold and place popsicle stick in center of mold, pressing a third of the way down. Freeze for at least 4 hours. Take molds out of freezer, run under hot water to loosen and enjoy! 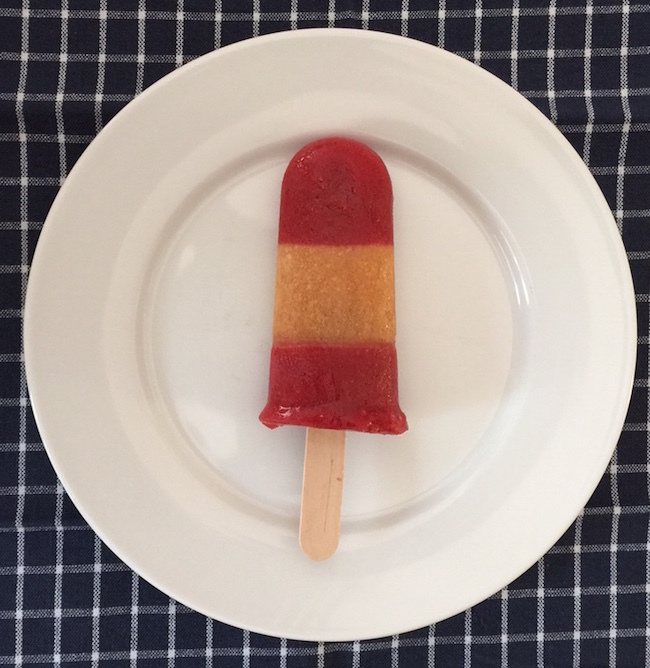 To make a striped design popsicle there are a few more steps. Pour one flavor of fruit to fill a third of the mold (you can use measuring spoons to make sure each mold has the exact same amount of fruit). Place mold in freezer for at least 4 hours. Pour another fruit to fill another third of the mold and place popsicle stick in the center. Freeze again for at least 4 hours. Finally, add a third fruit (or the first flavor you added) and fill the rest of the mold. Place back into the freezer for another 4 hours. Remove and run mold under hot water to loosen.